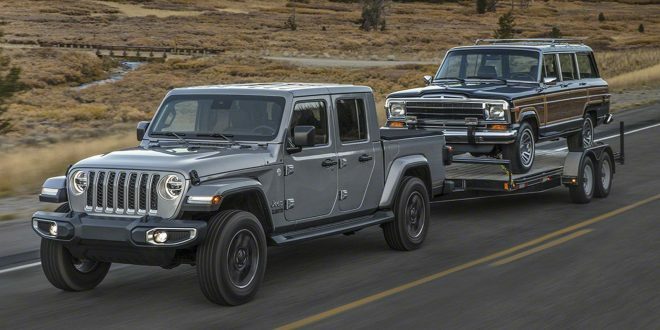 After leaking out in recent weeks, the 2020 Jeep Gladiator has officially been revealed. That’s right, the real name is Gladiator, not the rumored Scrambler badge. While it looks exactly like a JL Wrangler with a truck bed, Fiat Chrysler says it’s more than just a truck version of the Wrangler. At the basis of the Gladiator is a beefed up version of the Wrangler’s frame. The added rigidity was necessary to accommodate the Gladiator’s additional 20 inches of wheelbase over the Wrangler. More metal was also required for the Gladiator to achieve its towing and payload targets, which are maxing out at 7,650 and 1,650, respectively. 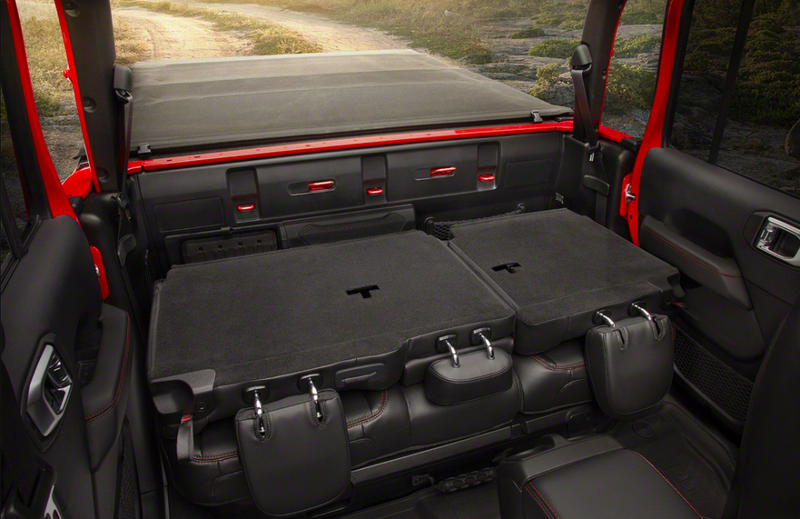 Those figures slot the Gladiator at the top of the midsize truck segment, with only the Tacoma topping it in towing. Lugging things around will be Jeep’s 285 horsepower 3.5-liter Pentastar V-6 at launch. 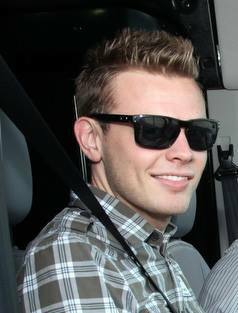 This engine will come standard with a six-speed manual gearbox, while Jeep’s eight-speed automatic will be optional. Given the engine has identical performance specifications to the Wrangler, but the Gladiator is bringing about 400 more pounds of heft, it’s safe to say the Gladiator will not be super quick off the line. Jeep will offer a faster alternative in the future. The brand says it will slot in FCA’s 3.0-liter diesel V-6 in 2020, which offers a healthy dose of 442 pound-feet of torque. That said, Jeep has already promised the diesel will have less towing capacity than the gas engine. Much like the engine selection, the rest of Gladiator’s mechanics mirror that of the Wrangler. This means that four-wheel-drive is standard on all variations, while solid front and rear axles are also found underneath. To product vital vehicle components during off-roading, there’s also four skid plates to protect the engine, transfer case, fuel tank and more. Rubicon models add additional off-road bits, including rock bars, Dana electronic locking differentials front and rear, a front anti-roll bar disconnect, transfer case with a 4:1 low range, and 33-inch tires. It also rides on Fox dampers that aren’t offered on the Wrangler. 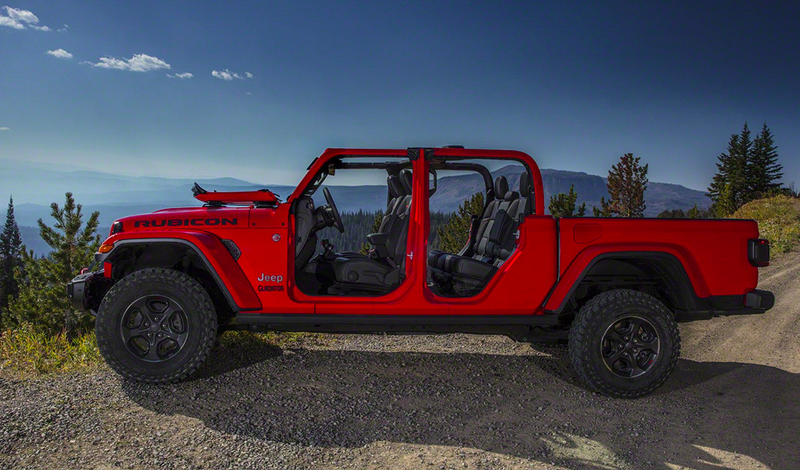 Also like the Wrangler, Gladiator will offer a folding cloth and hard top option. Both respective features operation nearly identically to that of the Wrangler. The doors are also removable, while the windshield can fold down as well. 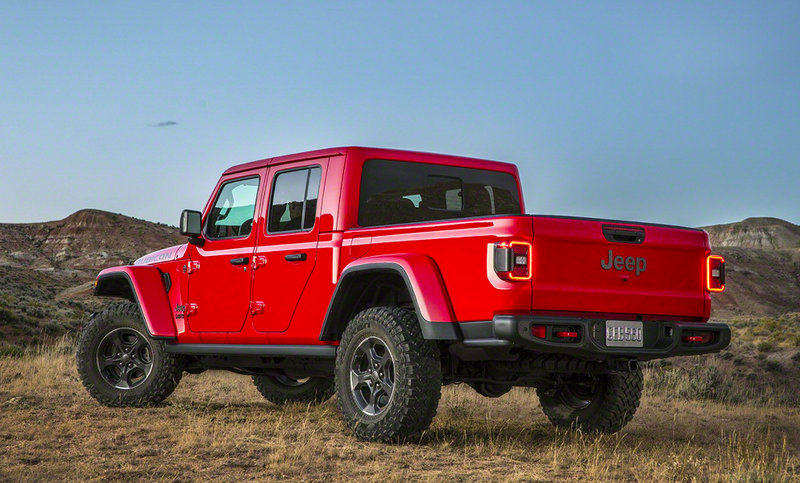 The 2020 Jeep Gladiator will arrive next year. It will be built at FCA’s Toledo, Ohio assembly plant where the Wrangler is produced.